This year marks the 21st Anniversary of the Barracuda Championship and 21 years of bringing first-class professional athletes to Reno-Tahoe. A favorite among golf professionals, the Barracuda Championship is one of only 47 stops on the PGA TOUR and the ONLY stop offering the Modified Stableford playing format! This exciting scoring system encourages professionals to play aggressively as lower scores on more difficult holes are handsomely rewarded. The format creates a thrilling, drama-filled atmosphere for spectators and players alike! Fans can watch the world’s best golfers up-close-and-personal as they compete for a $3.5 million purse and 300 FedExCup points. Broadcast daily on The Golf Channel. The stunning Montrêux Golf & Country Club is Northern Nevada’s only Jack Nicklaus Signature Design course and provides a challenging, yet beautiful test for 132 top-notch PGA TOUR professionals Past competitors who have tackled the scenic yet challenging course include popular golfers like Jason Day, Adam Scott, Pat Perez, Geoff Ogilvy (2014 winner), Gary Woodland (2013 winner), John Daly, Padraig Harrington, Davis Love III, Nick Watney, Jon Rahm and J.J. Henry (2012 and 2015 winner). 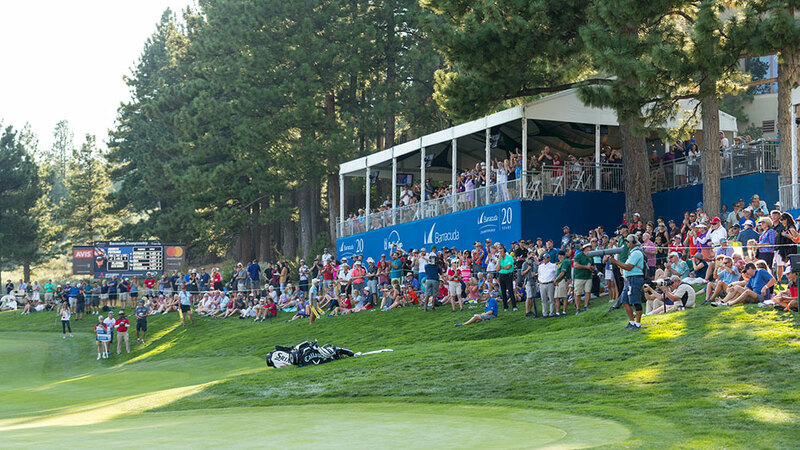 Your 2019 Barracuda Championship general admission ticket gets you access onto The Patio on the 18th Green presented by Reno Tahoe. 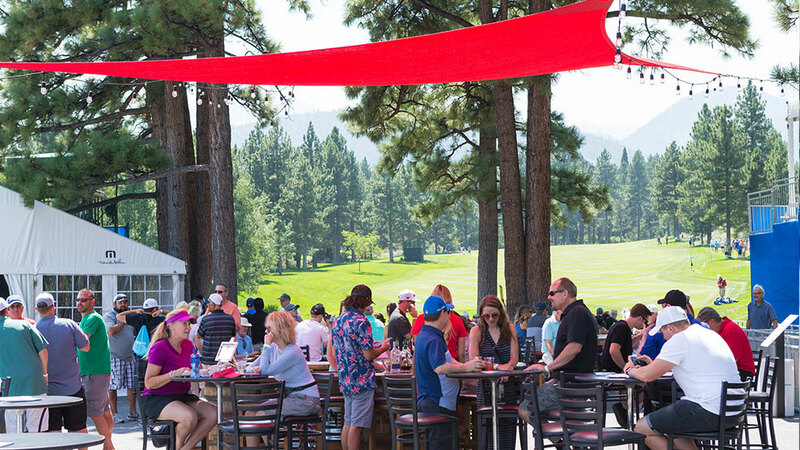 A natural gathering place where award-winning barbecue and ice-cold drinks are available for purchase, The Patio on 18 has emerged as the most popular fan-friendly venue on-course. All tournament attendees are invited to join the party and admire spectacular views of the 18th Green! Don’t miss the 2019 Barracuda Championship! 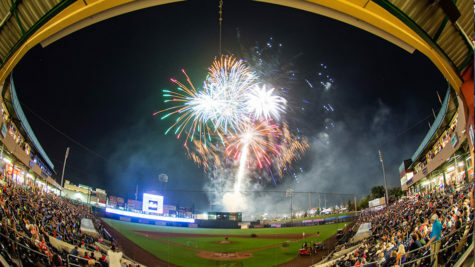 Choose from single day General Admission, Season Pass or Clubhouse Season Pass tickets. Fans also have the option to experience the tournament in style from our Lexus Chalet on the 18th Green or from Tito’s Terrace, a covered VIP sky-box on the 9th Green. Explore your ticket and parking options here. Want a true “behind-the-scenes” experience of a PGA TOUR tournament? 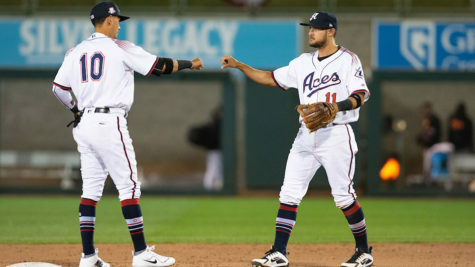 Become a volunteer in 2019! The Barracuda Championship boasts an amazing force of over 800 volunteers and they could use your help in a variety of positions throughout the week. Even if you can’t volunteer, you can still help by forwarding this opportunity to friends, family or organizations that you are affiliated with. 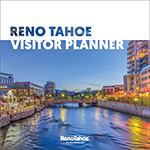 For more information, call 775.322.3900 or click here. All four action-filled days of the Barracuda Championship are broadcast LIVE on The Golf Channel. In 2018, the broadcast reached over 1 billion households in 227 countries around the world, making the Barracuda Championship an international success!